Most businesses now must have a presence online in order to extend their marketing reach and draw in the maximum amount of potential customers, clients and others. 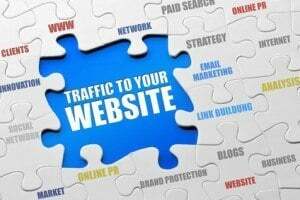 But when using search engine marketing (SEO) strategies and tactics, many modern marketers make the mistake of not tracking the types of traffic their SEO campaigns are bringing to a website. In order to maximize SEO effectiveness, marketers must track at least once per month the sources of their website traffic and make needed adjustments to boost profitability. When conducting an SEO campaign, three of the most important sources of online traffic are search engine results, direct access and visitors who were referred from other sites. Search traffic uses pay-per-click and organic search-engine results from Google, Bing and other popular search engines to draw in visitors who are using specific search terms. The more relevant a search engine ranks a site based on keyword searches, the higher that site ranks and the cheaper it is to use pay-per-click campaigns. Many visitors also will go directly to a website, which means they already know it exists and either typed in the Web address or have it bookmarked for convenience. Referrals generally come from links on other sites, such as is common with blog posts. At least monthly and preferably weekly, SEO marketers need to see where their online traffic is originating and determine whether or not the traffic is relevant and beneficial to business or traffic that provide no real benefit but still costs money from pay-per-click campaigns. Excluding keywords can help to winnow out traffic that is not relevant. If a website generates insurance leads, excluding irrelevant keywords, such as “claim,” by using the negative keywords function will help to reduce traffic that is not relevant but still costs money. Likewise, choosing the right websites to post videos, blog posts, photos and other media can help to create more useful traffic while reducing visitors who don’t have a genuine interest in the goods or services provided by the site. How often do you track traffic sources and adjust your SEO efforts for better outcomes? « Beware of SEO Spammers!